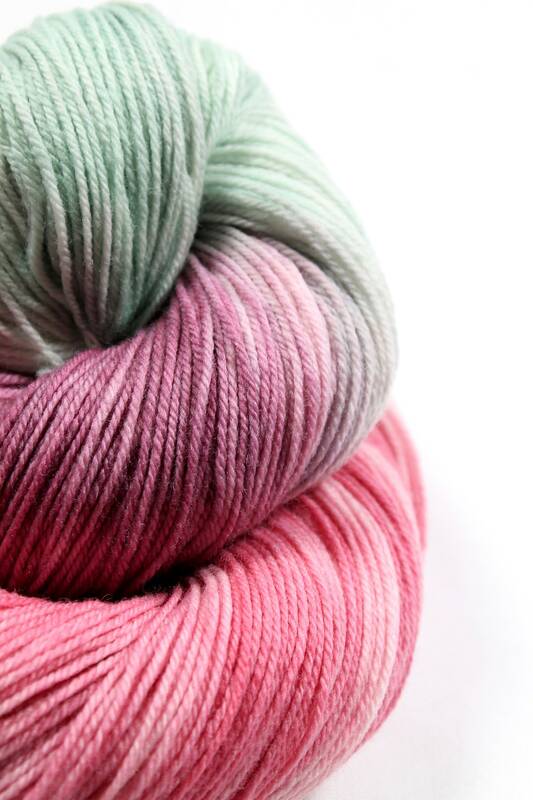 This yarn reminds me of a vineyard with the yummy grapes hanging on the vine. 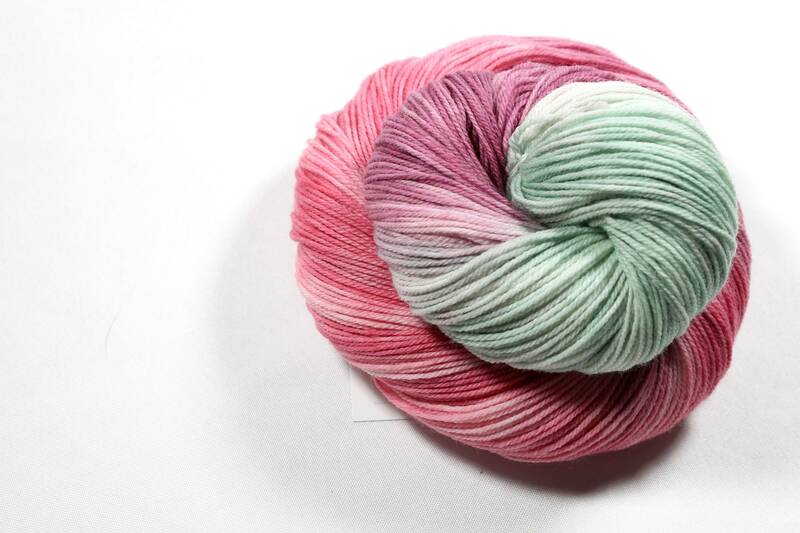 All of my yarn is hand painted by me. 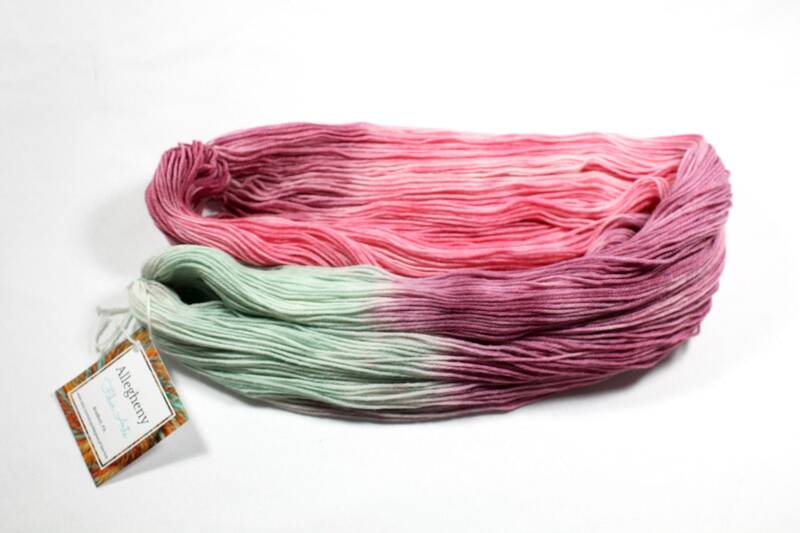 I dye all of my yarn and fiber using Eco-Friendly dyes and I set the color with steam and Citric Acid. I carefully mix all of my colors to create the color ways you see. 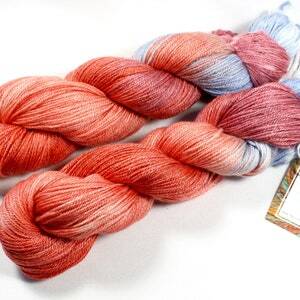 There are three skeins pictured but each skein is sold separately. Each skein is 400 yards. 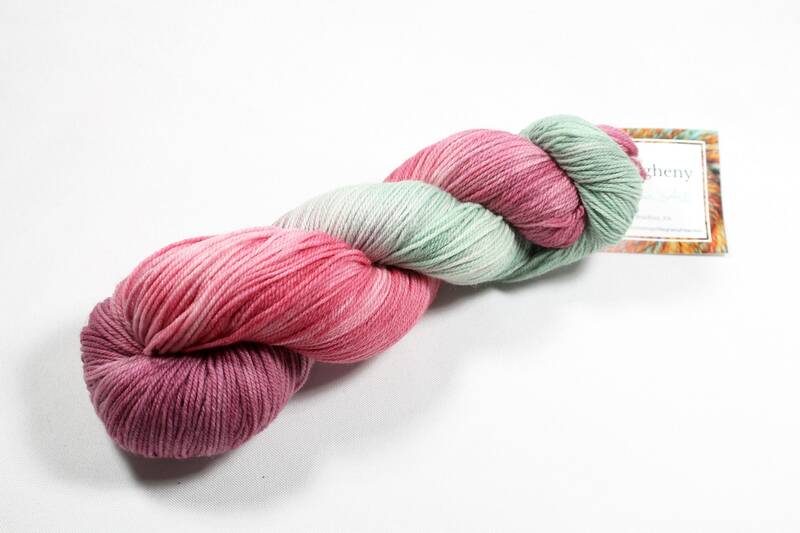 I have photographed the yarn in natural light and have tried to get the color to be as close to the actual color but please note every monitor is different so there may be a slight difference. 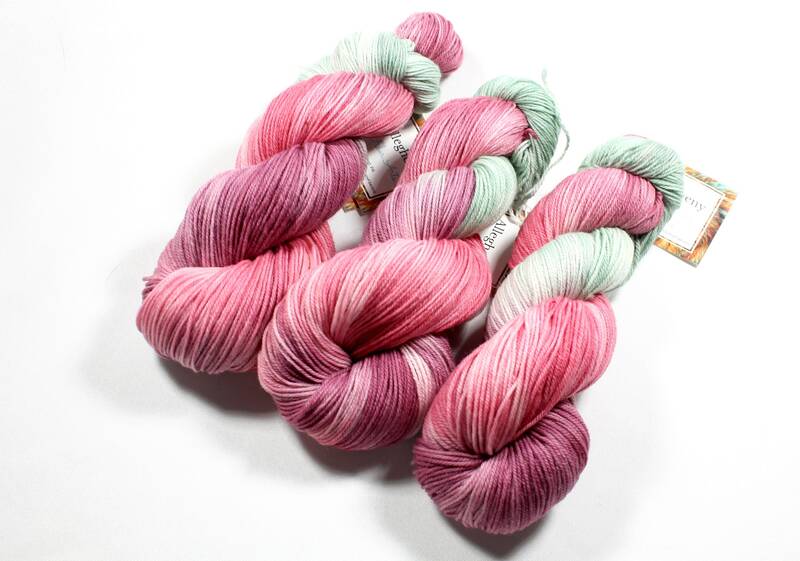 I dye the yarn in batches of 3 to 6 skeins at a time so the dye lots are the same for each color way. Allegheny Fiber Arts is a smoke free but pet friendly home. 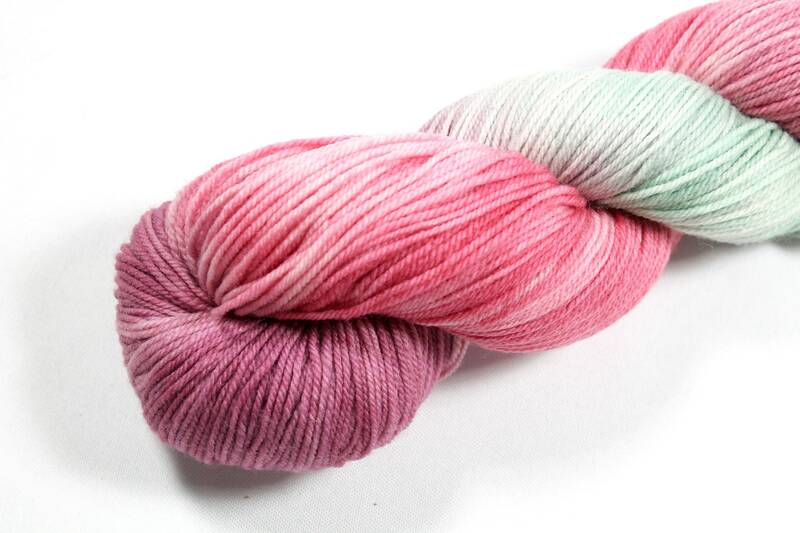 My Pugs and two cats are kept away from the yarn though!